Suva has qualified for the IDC semi finals after defeating Tavua 2-0 at the ANZ Stadium. Napolioni Qasevakatini and Sahil Dave scored for Suva. Coach Gurjit Singh says they have made a comeback. Lautoka also qualified for the semi finals after defeating Nasinu 8-0. 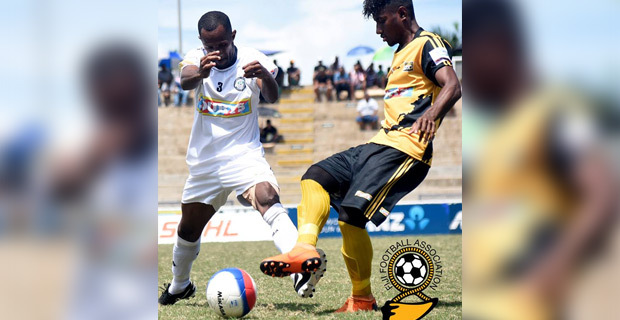 Benjamin Totori scored a hat-trick for Lautoka while other goals were scored by Zibraaz Sahib, Sairusi Nalaubu and Samuela Drudru. Coach Kamal Swamy says the game was played well. In the Senior Division, Lami defeated Tailevu/Naitasiri 1-0, Nadroga defeated Taveuni 6-2, Savusavu and Rakiraki finished with a 2-all draw while Navua defeated Seaqaqa 2-nil.